MOHOTTARI, Dec 1: The electoral race in constituency-3 of Mahottari district has become more intriguing after the top leader of Rastriya Janata Party Nepal (RJPN), Mahantha Thakur, fielded his candidacy for the upcoming parliamentary polls at the eleventh hour. 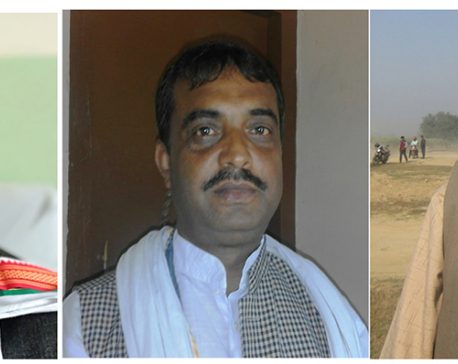 Although many had initially predicted that Thakur, who is a common candidate of the Federal Socialist Forum Nepal (FSFN) and RJPN, could easily secure victory with the backing of Nepali Congress (NC), the locals now think that the challenges posed by independent candidate and former lawmaker Chandeshwar Jha and left alliance candidate Bijaya Chaudhary cannot be undermined. The RJPN has a strong support base in the constituency that includes Jaleshwar and Matihani municipalities and Ekdara and Pipara rural municipalities. RJPN candidates had made a clean sweep of all posts in all of the four local units in the recently held local level polls. Locals, however, say the election environment in the constituency, which has 78,904 registered voters, is no longer the same. The votes cast during the local polls were influenced by four main factors -- Caste-based votes, individual influence of candidates, partisan votes and Madhesi sentiments. These had played crucial role in electing members of RJPN during the local polls. Shambhu Thakur, a local of Jaleshwar and a teacher by profession, says it is very difficult to point out any particular candidate as a strong contender in this election as the election environment has changed. No candidate has ever secured two consecutive victories from the constituency, which also includes the district headquarters Jaleshwar. 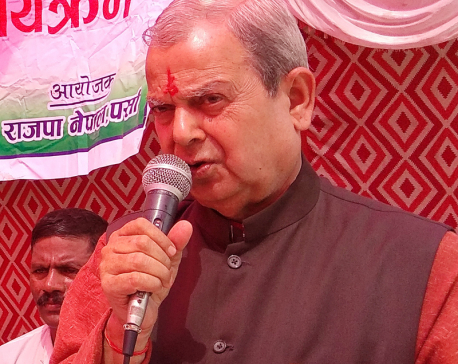 Thakur argues that it is still difficult to say in whose favor will the swinging votes of Jaleshwar go in the upcoming parliamentary and provincial elections. Chandeshwar Jha, who has now entered the fray as an independent candidate, was initially hopeful of getting a ticket from the RJPN. He had joined RJPN just a few months ago after getting assurances from top RJPN leadership of an election ticket. But as the RJPN coordinator Thakur himself decided to contest the election at the eleventh hour, Jha decided to rebel against the RJPN and fielded himself as an independent candidacy from the constituency. Jha, who was elected from constituency-4 of Sarlahi as an independent candidate during the second Constituent Assembly polls held in 2013, is hopeful of securing second consecutive win by defeating RJPN stalwart Thakur. RJPN leaders said they had tried to persuade Jha to withdraw his candidacy with various promises but he would not listen. Party insiders say Mahantha Thakur faces challenge not only from Jha but also from Chaudhary, who is a common candidate of the left alliance.